In 2003 I began my journey to becoming a healthy vegan. The next decision was to start where I thought was easiest – physically eliminating all the unhealthy products. Ha! I could not have been more wrong in thinking that was going to be an easy approach. It got pretty complicated very quickly. Today however, I am still living a vegan lifestyle, and must say that I believe it has never been more important than now to take a hands on and natural approach, when it comes to your health and household cleaning products. Note: If you want to bypass my story and prefer to get right to the video resource I used to begin my successful journey back then – no problem – just click here. What I began to realize, as I did my research in 2003, was how many of the products and medications used were (and still are) harmful, and yet we don’t know what to use in their place. There is so much info out there, it is hard to know what to do – and even harder to know which article or research study to trust. I understand because I went through it. Getting back to my story, I began my adventure where I thought it would be easiest: applying my own steps on how to let go and focusing on only changing the external cleansers and related products found under my sinks. 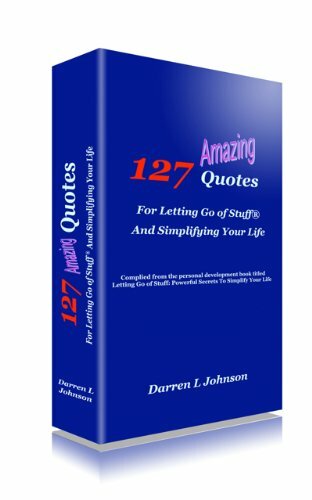 As one who has authored books on how to let go – I thought, “well this will be pretty easy to do!” Boy I could not have been more wrong. It wound up being a major inside-out challenge, almost right from the start. The short of it: My reasoning was that if I start with external products and clean up my environment first – then I will be able to begin to clean out my body as part of the second phase. What I did not bargain for was all of the internal thought patterns that kept me emotionally connected to the external products I was using. There were some great lessons learned as I began taking the following steps toward letting go. Next, I had to realize that this change was going to be uncomfortable, and yet it was necessary. Third, I had to identify and change my internal conversation that was helping to support staying inside of my comfort zone. Step 3A was to develop a new internal conversation that supported making this transition. After that internal work was underway, I had to plan for an approach to clean out the cabinets under my sinks, and reading those labels. This meant I needed a “future state” vision for what my cabinets would look like once I was done. Over the span of about six months I was able to transform my cabinets from unhealthy cleaning products to those products that support a healthier lifestyle. It was a journey, but well worth the effort. In sharing this my story, I hope it allows you to somehow find your story and begin/continue your letting go journey – under your sinks (LOL). I also want to provide you with a resource that will seriously reduce the amount of time it might take for you to get started. This resource from Every Day Roots will help you with letting go the external stuff under your sinks. Below are 8 “toxins” that can be found under your sink. Click on any one of these items below to get more details. Take a few minutes and watch this video from Every Day Roots. I hope it proves to be as much of a resource for you, as it was for me – back in 2003. It might be a helpful resource for you, if this is something you have either been wanting to do for a while, or are in the process of doing . Without further ado – check out this brief video.